On Sunday, Bangladesh Parjatan Corporation and Public Private Partnership Office held a Pre-application conference for the “Development of Integrated Tourism and Entertainment Village at Cox’s Bazar”. Bangladesh Railways (BR) operates a number of hospitals across different parts of the country. Many of these facilities need to be upgraded with the latest equipment and expanded to cater for the growing demand and need for health services. In order to utilise the additional land available and deliver increased health services, BR is looking to work in partnership with a private sector on a PPP basis. 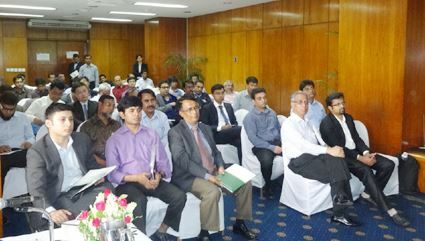 The conference was held at Pan Pacific Sonargaon, Dhaka and was attended by investors, corporate houses, developers, financial institutions and hospitality majors from Bangladesh, South Asia and South-east Asia who have expressed interest in development of this project. Mr. Aparup Chowdhury, Chairman, Bangladesh Parjatan Corporation, highlighted at the outset, the importance of the project as an anchor to the development of tourism at Cox’s Bazar while laying down the government’s vision for the project. Dr. Mosammat Nazmanara Khanum, Joint Secretary, Ministry of Civil Aviation and Tourism welcomed all stakeholders and emphasized the role of Cox’s Bazar in promoting tourism in Bangladesh. Mr. Syed Afsor H. Uddin, CEO, PPP Office, emphasized on the importance of coordinated efforts from the government and the private sector to make this project successful. 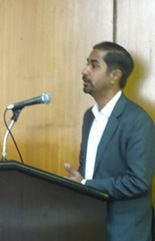 Mr. Abhilesh Babel, Jt. CEO of Feedback Infra (P) Limited, advisors for the project, delivered a presentation outlining the impact of the project on development of tourism and socio-economic growth. He discussed the vision of the Government of Bangladesh about the redevelopment of Hotel Shaibal as a hospitality and entertainment destination, configuration of the proposed project, bid process to be followed and key timelines for the project. 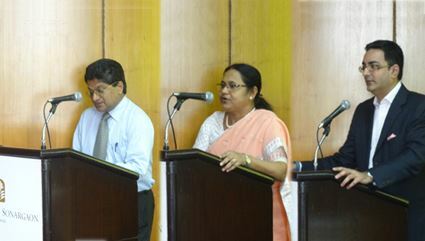 The opportunity presented by the project was particularly highlighted during the presentation given the unique location at the heart of Cox’s Bazar beachfront. The actual modalities of the bidding process were discussed in detail including eligibility criteria and process of proposal submission. The presentation was followed by an interactive Q&A session where all stakeholders discussed their queries about the project and the bidding process. After suitably addressing the queries, the conference was followed by Lunch and ended with a note of thanks by Mr. Uddin. The RFQ submission by interested bidders is due on 5th July 2015.